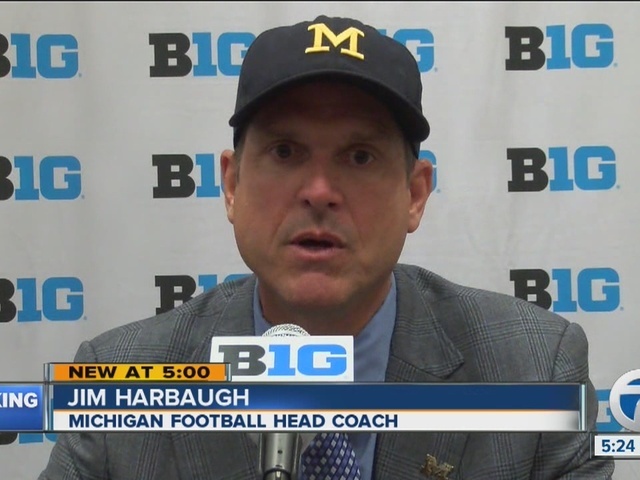 Michigan head coach Jim Harbaugh spoke to the media on the first day of the Big Ten Media Days in Chicago. "We want our dreams to be big, we want our goals to be lofty, we want to dream those dreams so much that people would laugh at us," Harbaugh said. "If they're not laughing at us then we haven't set high enough goals." See Justin Rose's report from Chicago in the video player above.